“The 200 [victories] is all about what our players have accomplished ... I have been a very small part of what has been accomplished as a collective group,” said Meek, who is ranked third on the NCAA list of winningest active coaches. 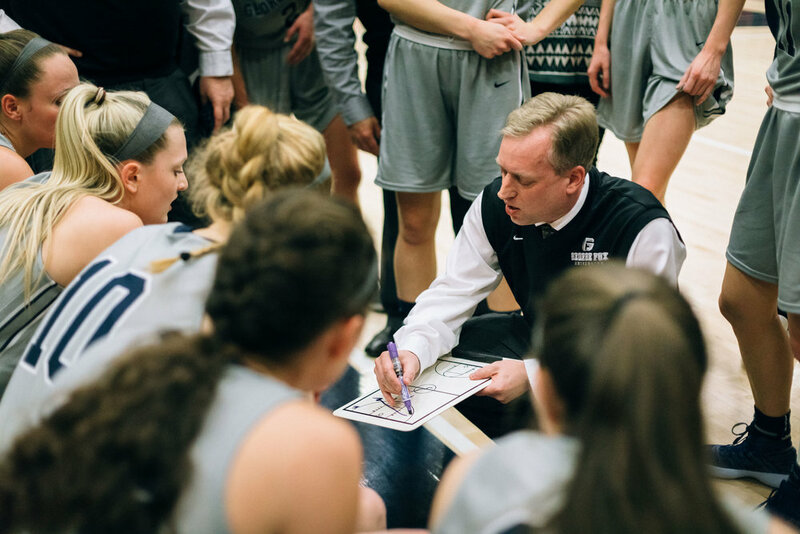 The GFU women’s basketball team has been a force to be reckoned with for many years, and Meek has been a large part of that. Meek was the fastest coach to 100 conference wins in NWC history, and the Bruins 22-3 regular season mark gave the Bruins their fifth regular season conference championship under Meek. His passion for coaching led him to apply for the position at GFU years ago. After exploring the town of Newberg, Ore., and the campus of GFU, he and his family decided that it would be a great fit. The culture of the campus and of the surrounding community played a large part in Meek committing to GFU. Meek said he believes that the women he coaches have had more of an impact on him than he has on them. He hopes that as a coach he has given them life skills that they will be able to take into their lives as working professionals. Meek tries to imbue his players with a good work ethic and a sense of dedication not only to their own personal successes but to the successes of the team. “I want them to learn to take pride in the team,” said Meek. The best stories, as he recalls, are stories of players giving themselves for the sake of the team—stories of seniors who want to play not just because of their seniority but because it will help the team win. The coaching staff, the players, the trainers--every person involved with the team is all in for each other, taking pride in their work, and celebrating each success as a team.